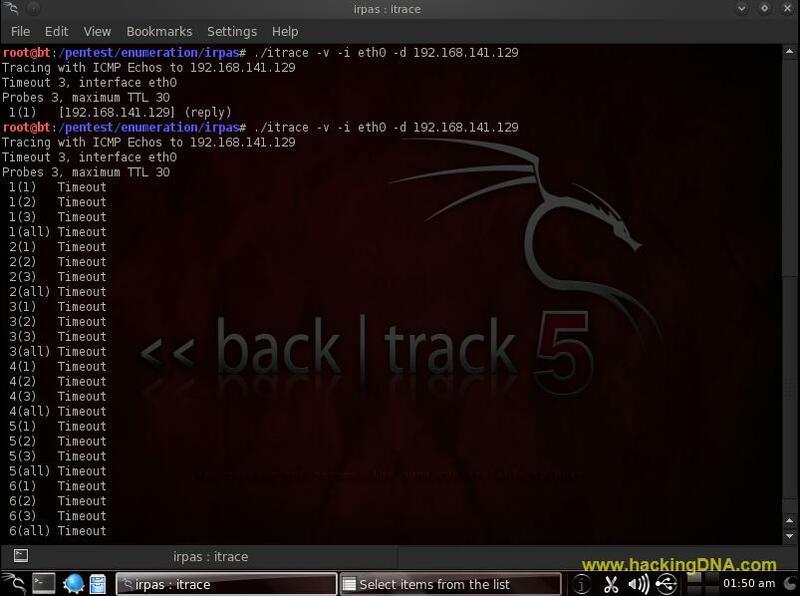 Itrace is a program that implements traceroute functionality using ICMP echo request packets. 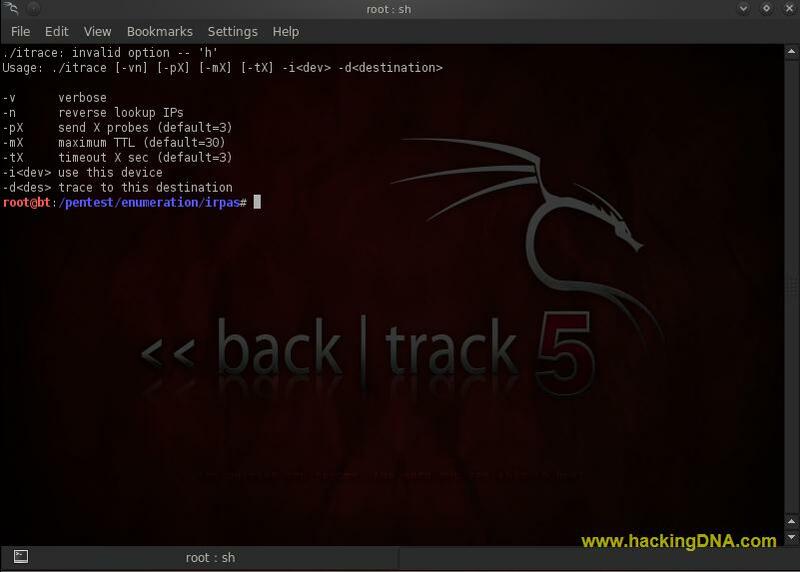 Therefore, it looks like you are just pinging your target while you traceroute there. It often helps tracing behind firewalls. If the site denies your ICMP(Internet Control Message Protocol ) then it show you Timeout as it show below . 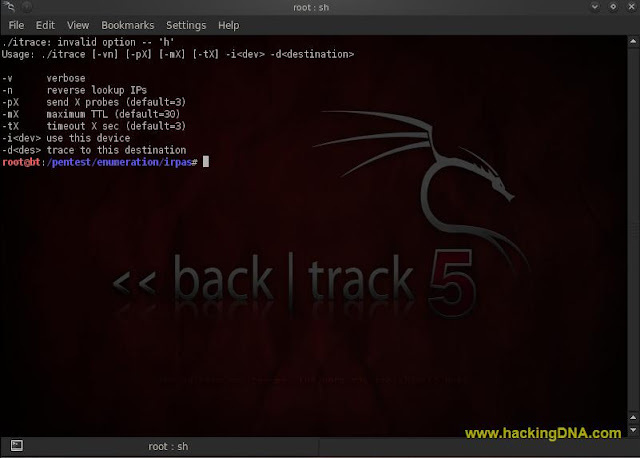 This is how we can use this tool on BackTrack 5 . 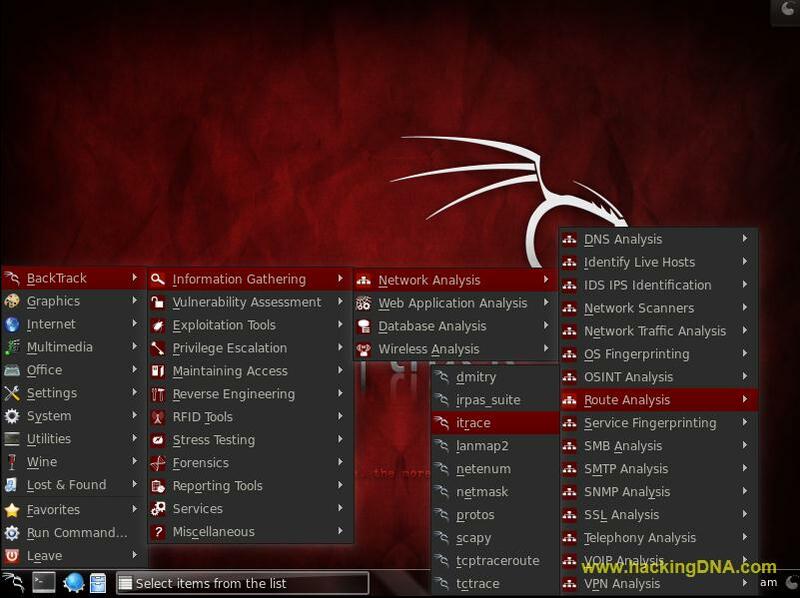 Its a good tool and itrace will help you in penetration testing . This tool is developed by Vince Mulhollon . This tool (itrace ) is developed in 'C'.